This is the 10th anniversary of poetry collective, Pandora’s Collective. 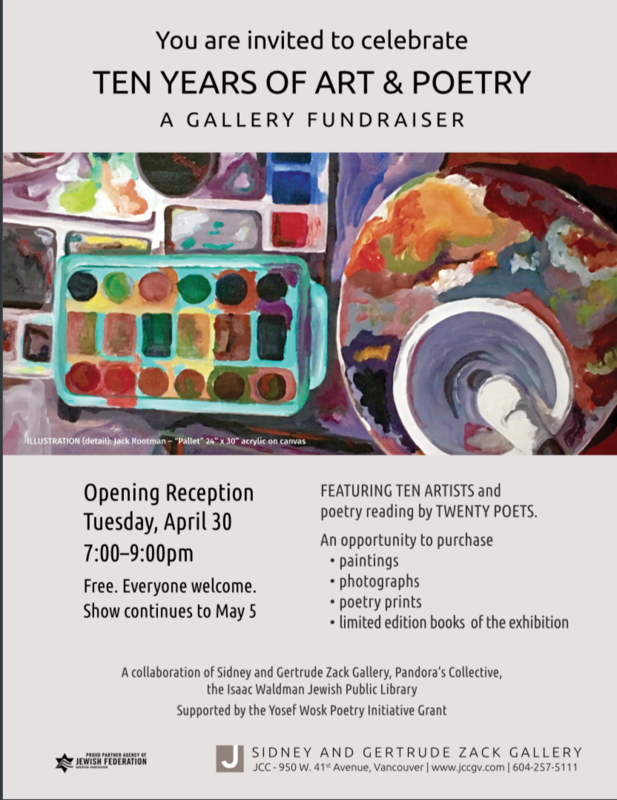 To celebrate this there will be an art exhibit at Sidney and Gertrude Zack Gallery at JCC. 10 artists with two pieces of art each and 20 poets who write poetry in response to each piece of art. The are also printing a book with all the art and poetry. It will be an evening of art, and poetry readings plus limited edition books of the exhibition. Olga Campbell, will be exhibiting two pieces of her art.